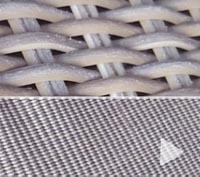 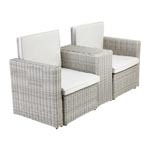 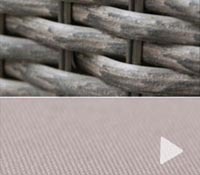 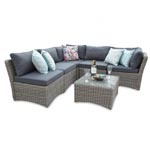 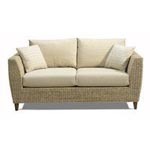 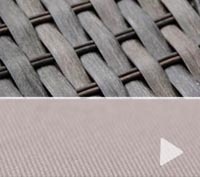 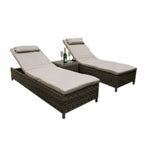 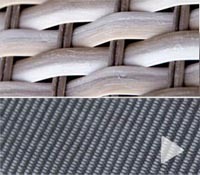 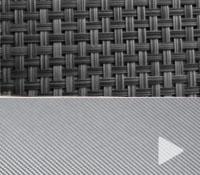 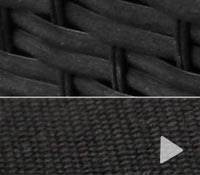 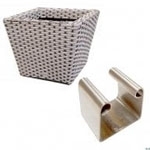 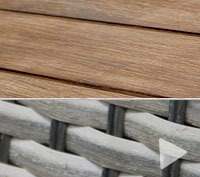 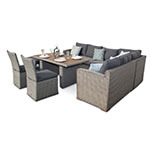 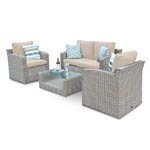 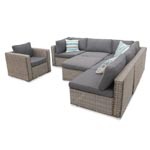 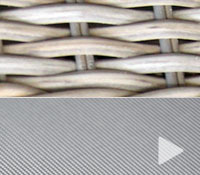 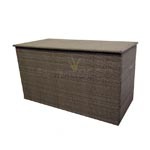 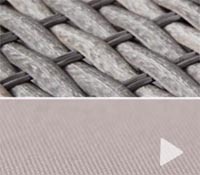 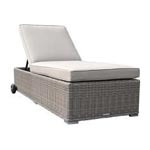 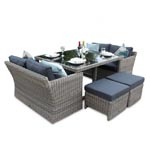 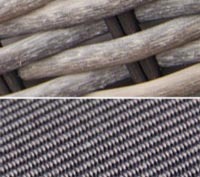 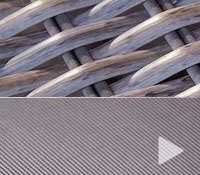 The woven beauty of this 4 seater garden furniture set is clear to see; both light and dark natural looking rattan has been used to craft a real feature piece for your garden. 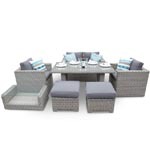 The Richmond Rattan Dining Set expertly fuses a contemporary look with practical features to create a high quality rattan garden furniture piece. 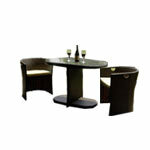 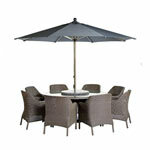 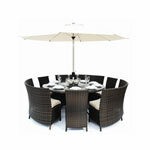 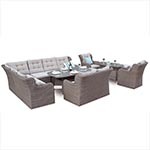 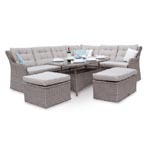 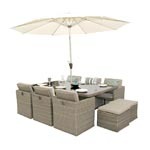 Enjoy the summer sun with your Richmind 4 Seater Dining Set, perfect for gatherings of friends and family. 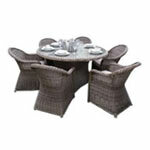 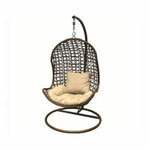 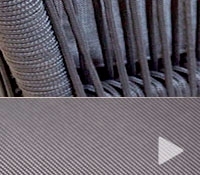 - 100cm round table & 4 uxury rattan armchairs with full cushions. 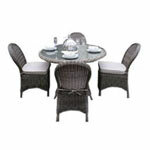 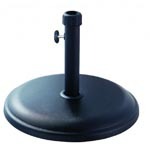 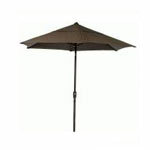 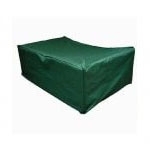 The scatter cushions are for illustrative land parasol and parasol base are not included in the base price.